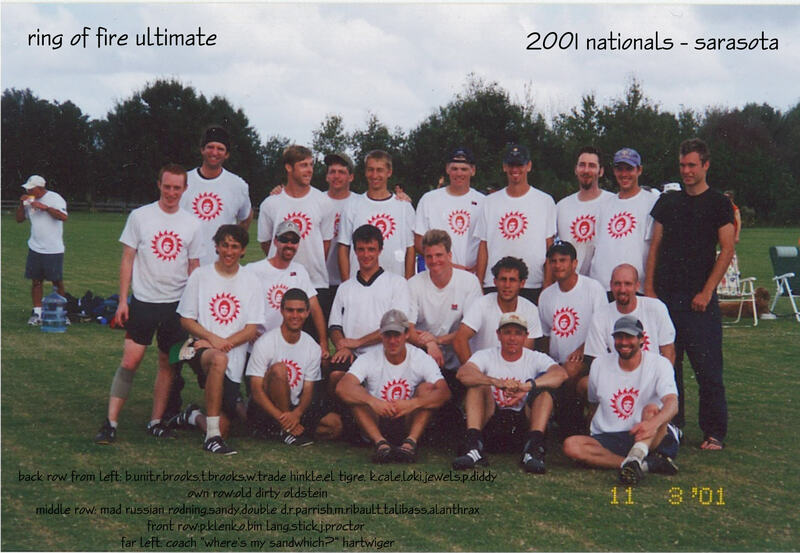 Here are pictures of me playing ultimate. 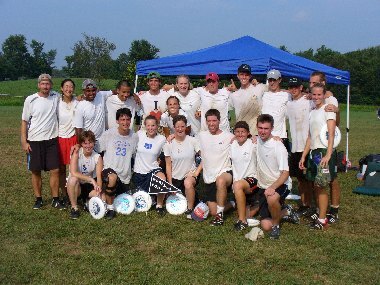 Jade Monkey at the 2001 Blacksburg Mountain High tournament (second place) alternate angle. 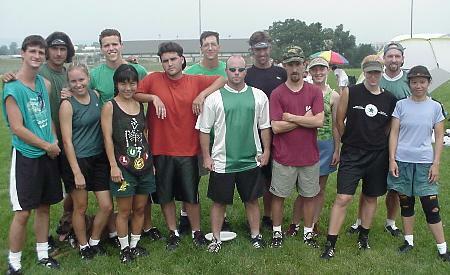 Rodney Guajardo, Eric Guajardo, Megan Insco, Luke Voytas, Asako Yamamato, Andy Kelly, Scott "Scooter" Vandeline, Mike Kelly, Jasper Halekas, Chris Shepard, Margo Hasselman, Valerie Kelly, Alan Hoyle, Suzy Nguyen. 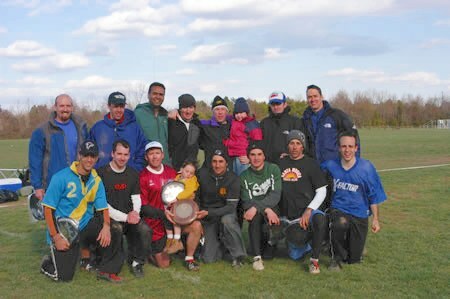 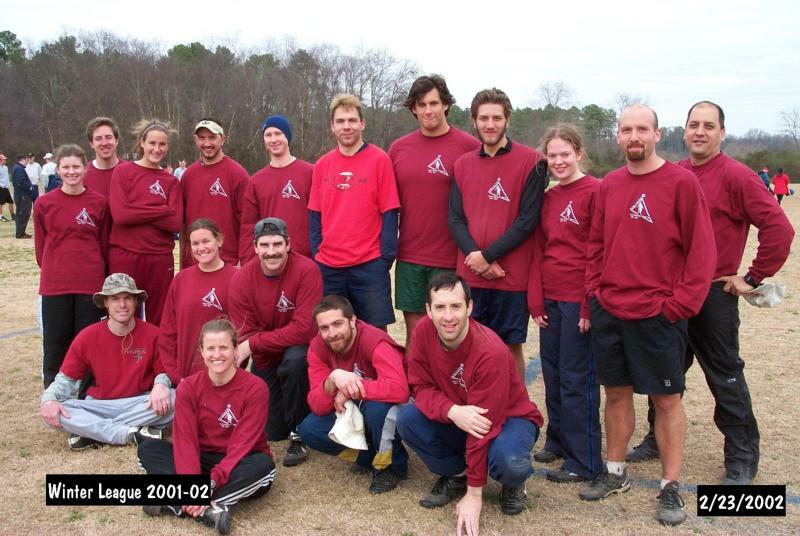 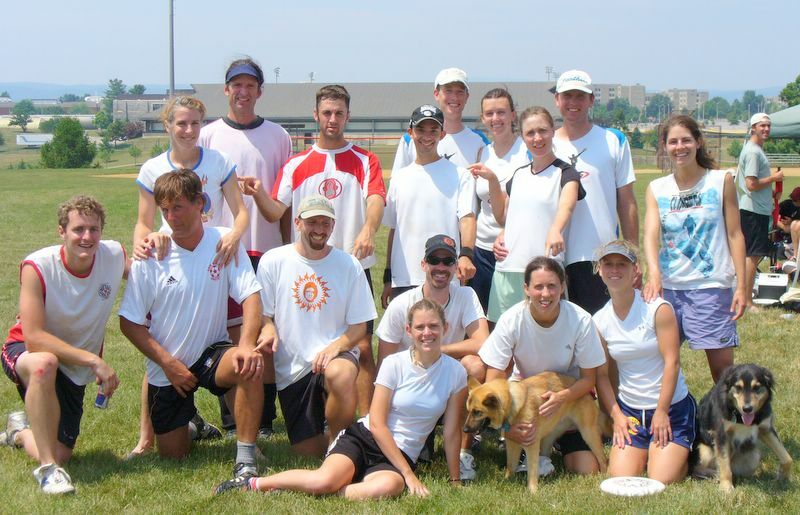 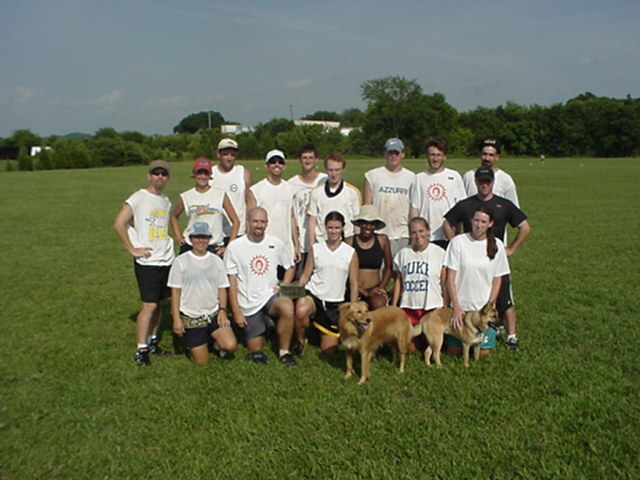 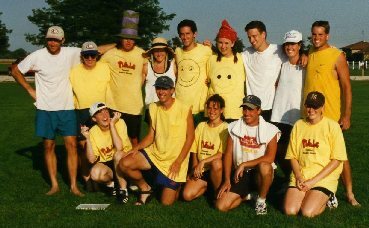 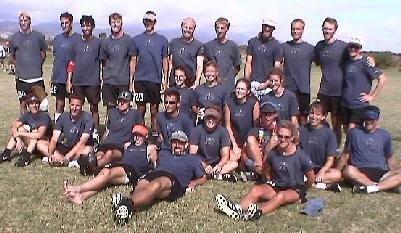 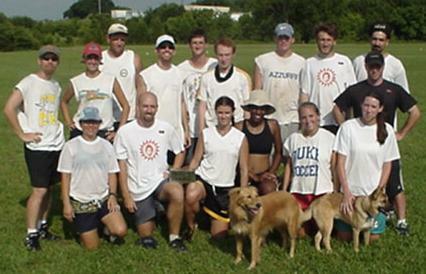 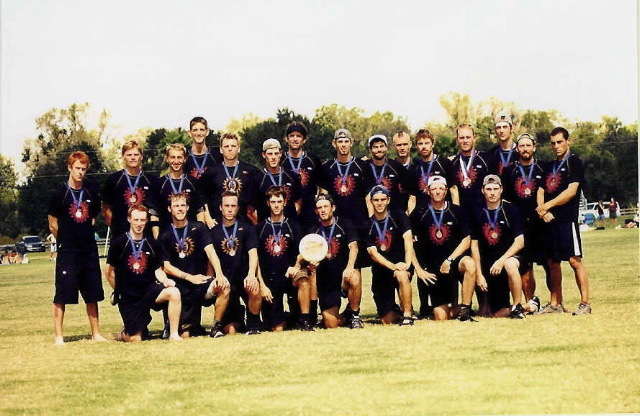 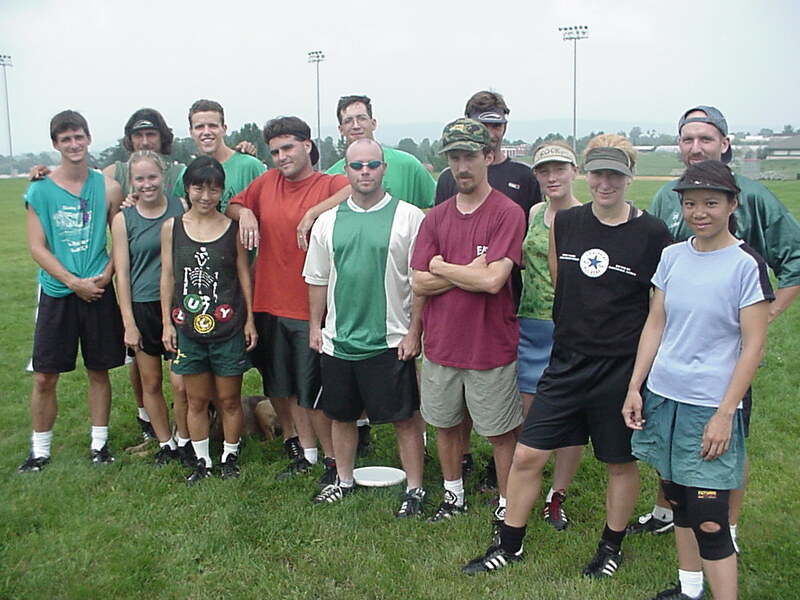 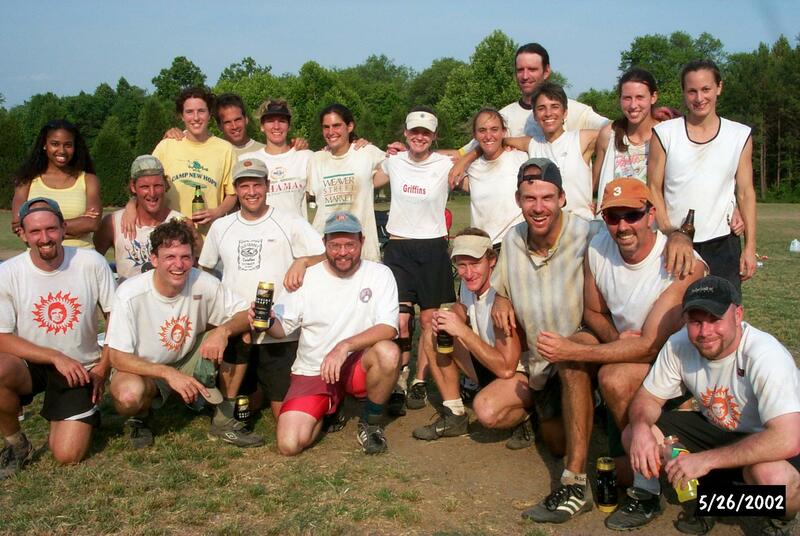 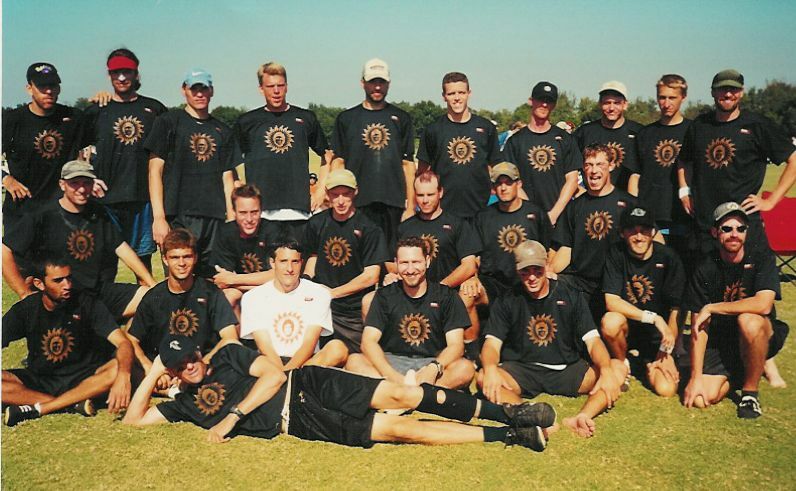 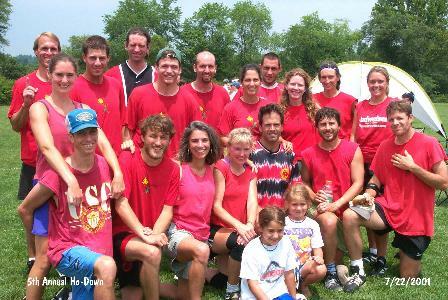 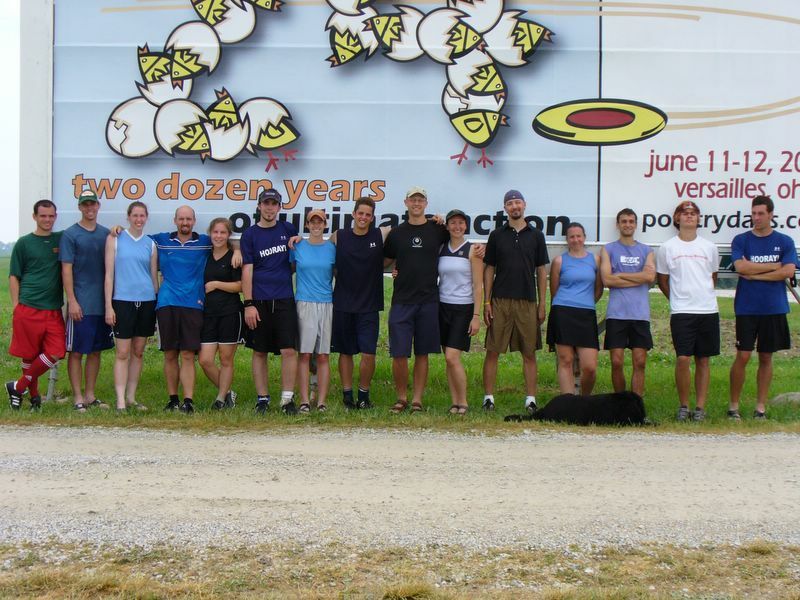 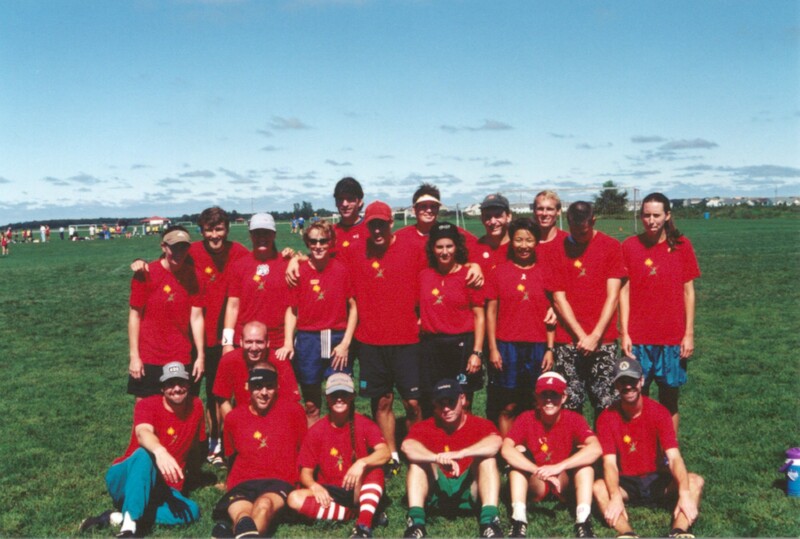 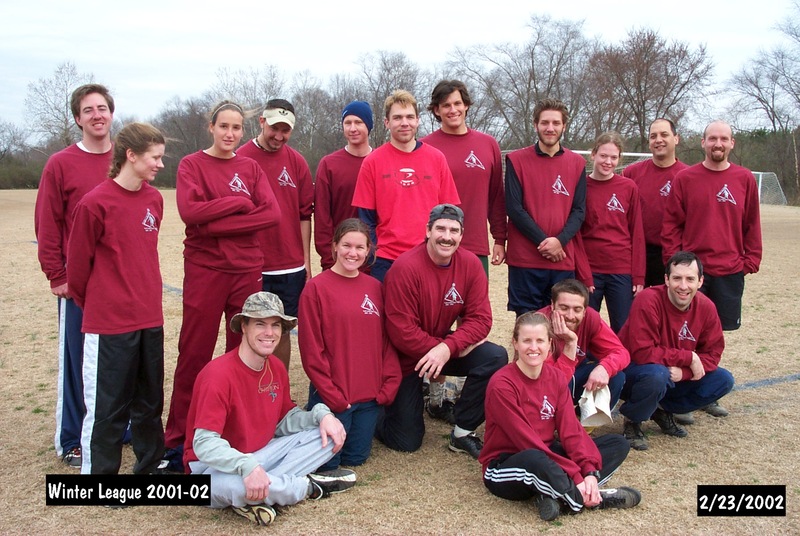 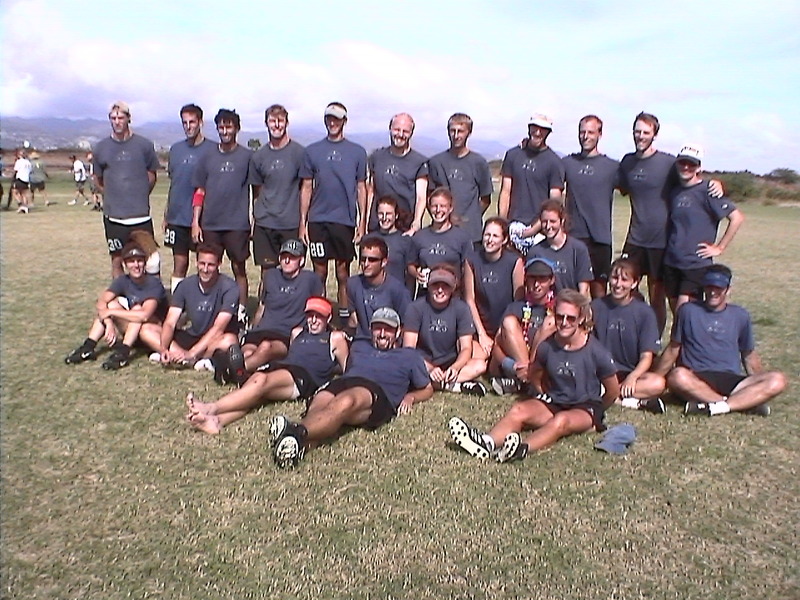 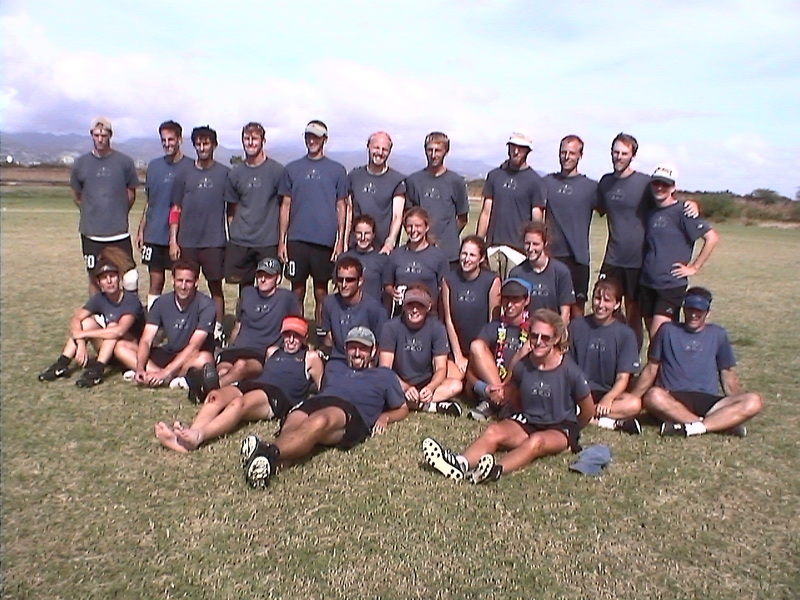 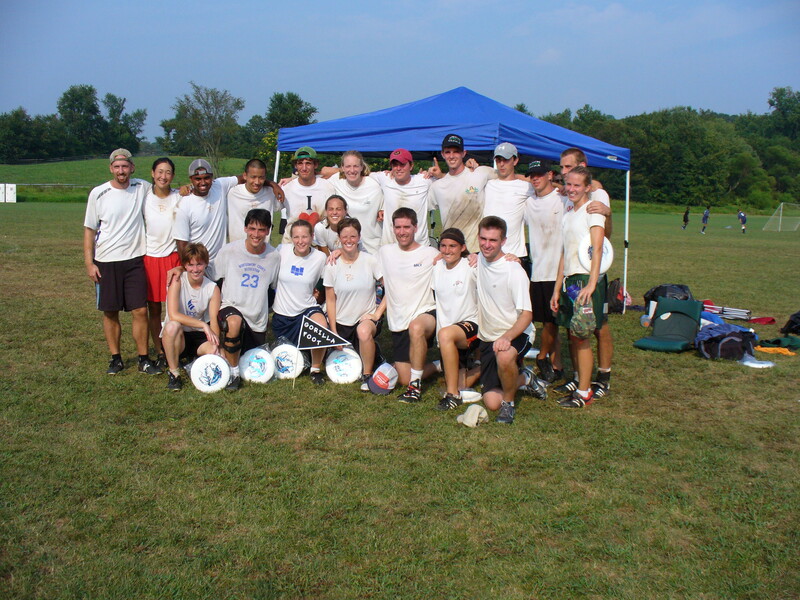 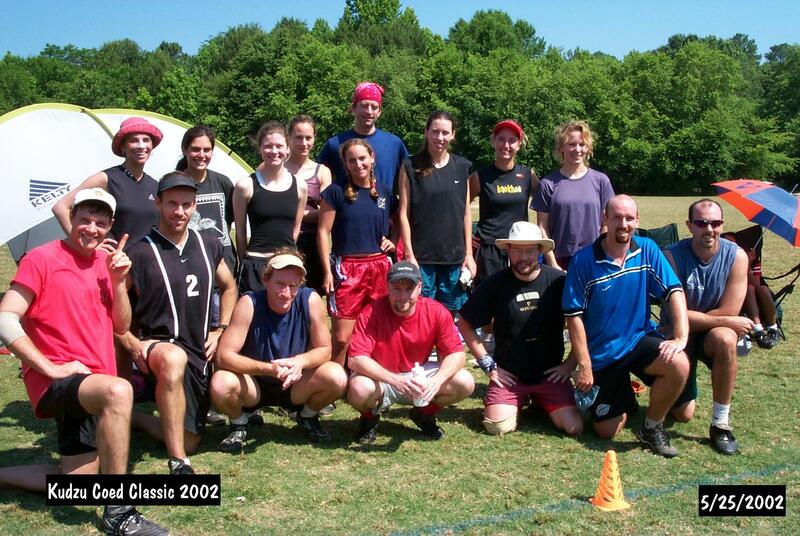 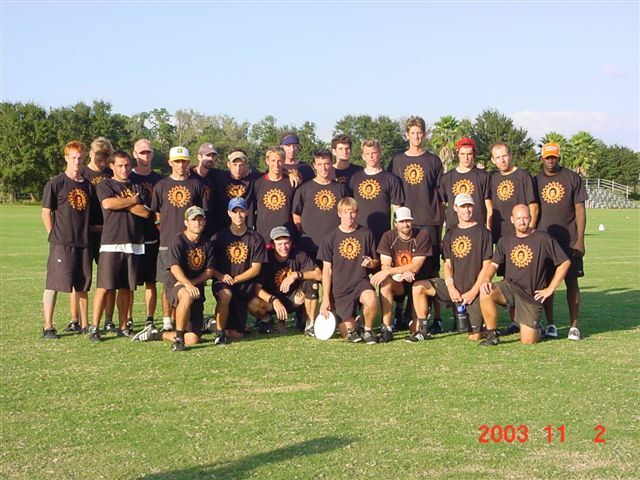 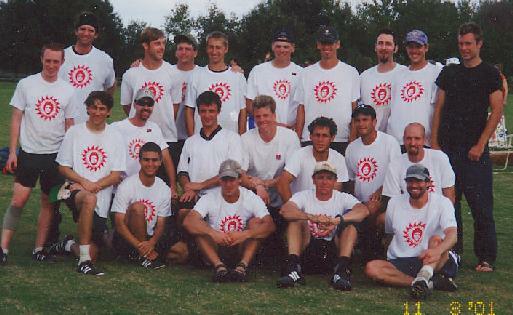 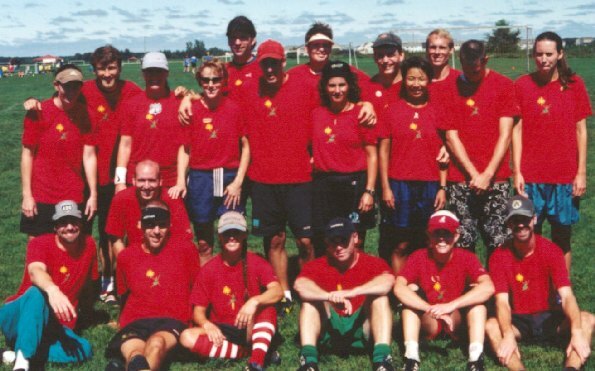 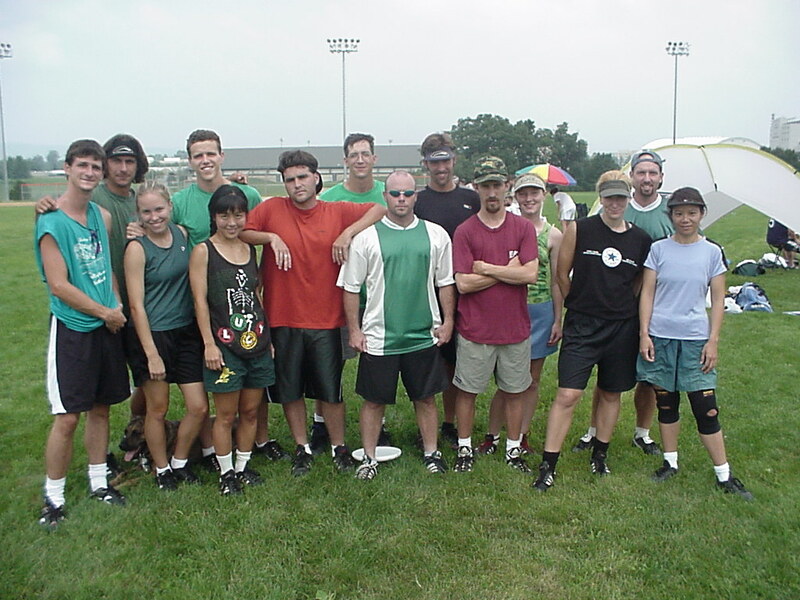 Peggy Cronin's Lunar Ultimate, 2004 Fools Fest champions. 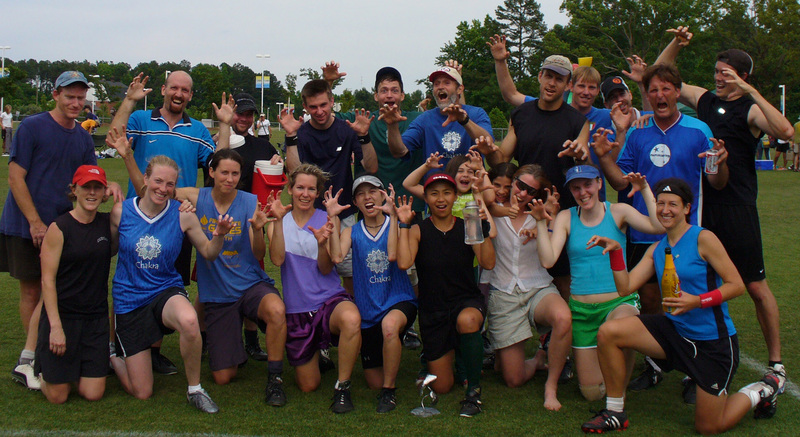 Gorilla Foot at Chesapeake Open Mixed-division champions.